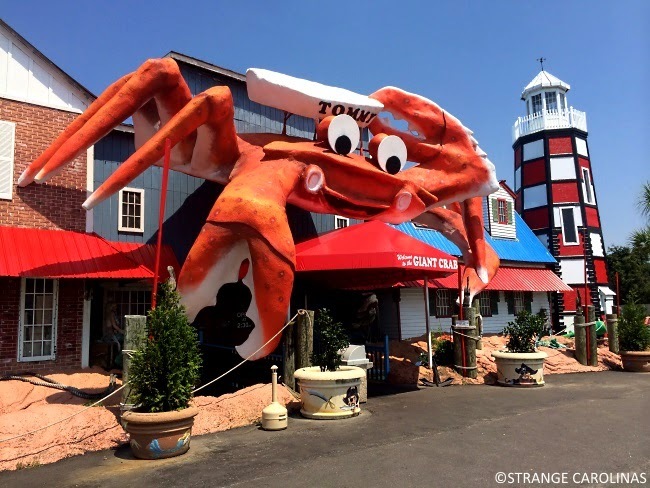 Tommy, the giant crab that sits atop the aptly named Giant Crab Seafood Restaurant, is a Myrtle Beach landmark. You have to take a picture of Tommy when you visit Myrtle Beach. It's a state law or something. 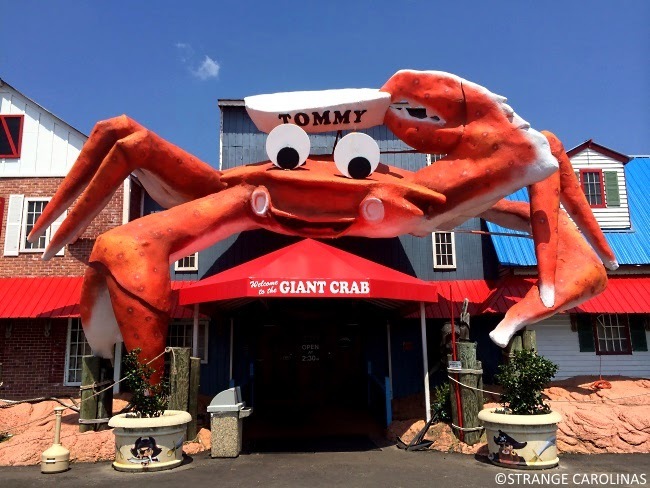 Word has it that one of Tommy's legs would fetch $24,056 at an average Myrtle Beach seafood buffet.